Duncanville (6-2, 3-2) fell to fourth place in 7-6A while DeSoto remained atop the district in Friday night high school football action. 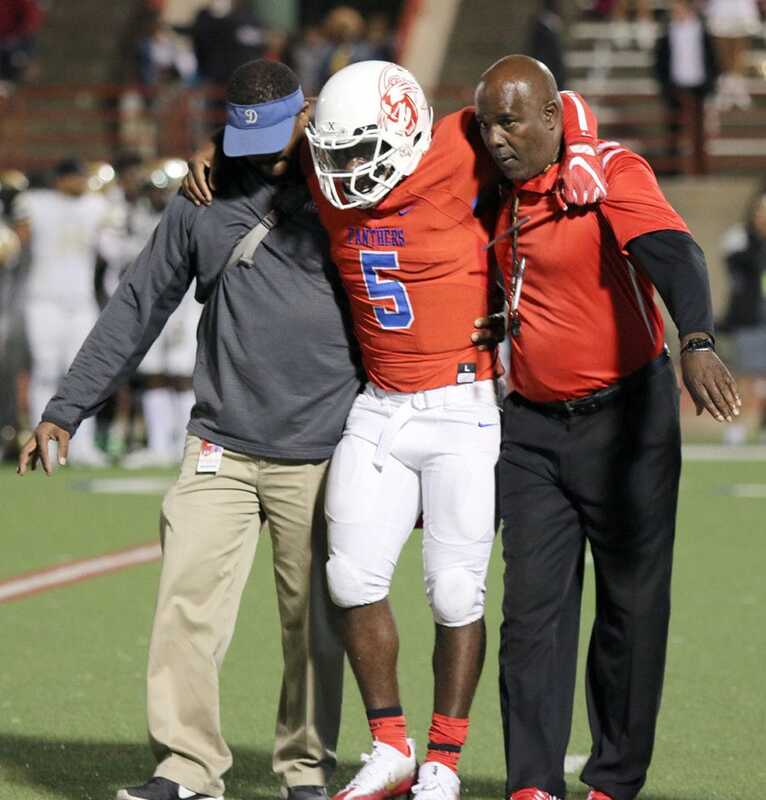 Despite the loss of standout Quarterback Jaylin Nelson in the first quarter (a possible fractured femyr bone), Duncanville did not make the eventual win by DeSoto an easy affair. Junior Trezon Connley had taken over as field commander in his stead (seven passes, 49 yeards). During his 20 minutes of play he connected with Wide Receiver Mackendrick Jackson to bring the Panthers within early striking distance. With 4:35 left in the first quarter, DeSoto had a 7-3 lead, which they never relinquished. 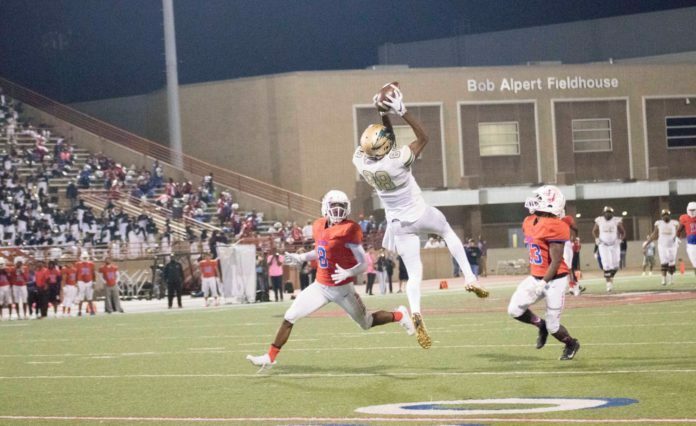 DeSoto struck again with a 38-yard pass from Shawn Robinson to K.D. Nixon. The PAT by Christian Gonzales was good. The first quarter expired with DeSoto 14 Duncanville 3. Duncanville scored within 5 seconds, starting the second quarter on a 30-pass from Trezon Connley to Mackendrick Jackson. DeSoto answered quickly on a Richie Washington plunge into the center of the line for a score. The first half ended DeSoto 21 Duncanville 10. Duncanville scored their only second half TD with 6:11 left in the game on a Connley 1-yard dive over center. DeSoto would score three times in the second half. Their stats were massive. The Eagles had 30 first downs, 251-yards rushing on 44 carries and 217-yards in the air on 39 attempts. The Duncanville defense played well. Twice they stopped what seemed like certain scores with a fumble recovery and a pass interception in their own end zone. DeSoto had 10 costly penalties for 92 yards. But penalties only slowed the Eagles briefly. The superb running and passing of Eagle quarterback Shawn Robinson was a major factor. He may be the most gifted and talented player Duncanville has seen so far this season. After the game, Coach Samples stated how proud he was of his team. “We have come a long way together. Without Jaylin, we certainly didn’t play up to expectation. But the team has always given its best effort. I never expect too much from my players, but I want all I can get,” he said. The Panthers’ success for the rest of the season cannot be determined until the condition of Jaylin Nelson is understood. Samples would not comment on next week’s away game with Irving MacArthur.